Can the way you use social media determine how much you should pay for your car insurance? Is it possible to make judgements on what type of person you might be behind the wheel, just from how you use language and grammar? UK car insurance company Admiral seems to think so. Admiral, for the record, is one of the UK’s largest car insurance providers. It’s our equivalent of, say, State Farm. And it announced that it is going to use the vast quantities of online data that is generated whenever we use Facebook and other social media sites, in order to determine how much individuals should pay for their car insurance. Admiral’s algorithm works by examining posts and likes shared by the Facebook user – but not photos. The insurer will then use them to identify traits often associated with safe driving, such as using short concrete sentences, lists, and arranging to meet friends at specific times and places, rather than in vague terms like just “tonight”. It also tries to link the user’s user of semantics to a driver’s overconfidence. Excessive use of exclamation points, and absolute words like “always” and “never” suggest that the driver might not be up to scratch. The service is called FirstCarQuote, and it’s aimed at first-time drivers and car owners, who can pay as much as £2,232 ($2,738 USD) for their (mandatory) car insurance. Admiral is eager to emphasize that the scheme is voluntary. Furthermore, it will only be used to provide discounts. Drivers won’t see their insurance rates rise because they used one too many exclamation points. Of course, this proposal isn’t terribly popular. It has been compared (unfavorably) to something from Charlie Brooker’s Black Mirror. And now, according to the Open Rights Group, Facebook has blocked Admiral’s access to the Facebook Platform, essentially rendering FirstCarQuote dead on arrival. I’m not sorry. While FirstCarQuote is quite benign, it’s the first step on a slippery slope that sees our offline lives determined by our online behavior. Where every drunk tweet and every angry status update could count against us. UPDATE: Well, this is unusual. Admiral has issued a hastily-written statement through Twitter stating that it “doesn’t use social media data to set prices for its policyholders” and “haven’t and don’t access policyholders’ Facebook data”. As you can see in the Tweet above, this contradicts the earlier press release which first announced the service. “Protecting the privacy of the people on Facebook is of utmost importance to us. We have clear guidelines that prevent information being obtained from Facebook from being used to make decisions about eligibility. We have made sure anyone using this app is protected by our guidelines and that no Facebook user data is used to assess their eligibility. Facebook accounts will only be used for login and verification purposes. I’m really not sure what to make of this. 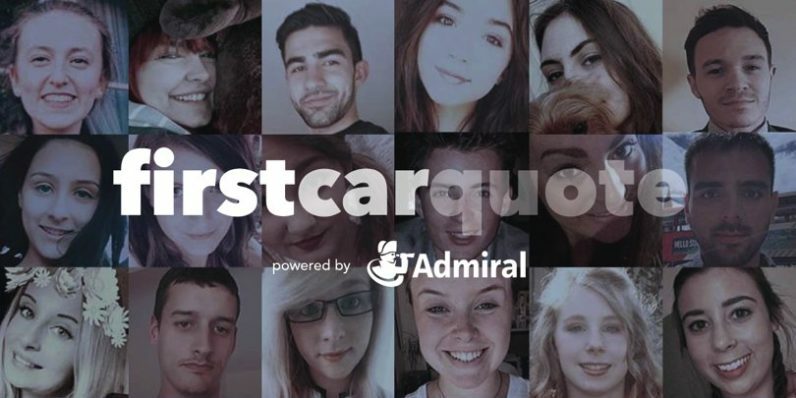 Did Admiral overstate what FirstCarQuote could do, and is now backtracking in the face of public outrage? Or has the company had its wrist slapped by Facebook, and is now in damage control mode? I’ve reached out to Facebook and Admiral to find out. I’ll update this as I get more information.